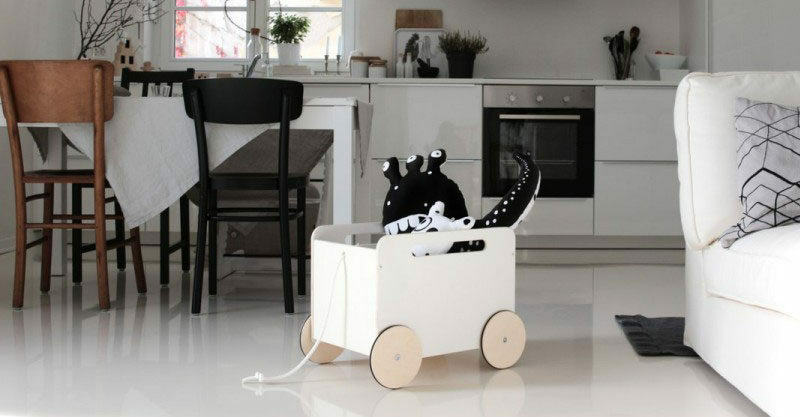 With a nod to its Scandi roots, there’s no denying this is one sleek-looking toy box. Minimalist as ever in all its wooden glory, the wheels and a tow rope add wagon-style fun to the design. The perfect partner to the Ooh Noo Toy Pram, this toy box provides plenty of storage room for toys, treasures and trinkets. So now there’s no excuse not to pack up after play time! Place your pre-order for the Ooh Noo Storage Toy Box, $229.95 at Hello Little Birdie.